When James Howells accidentally threw away a hard drive while clearing out his work-desk, little had he anticipated that he would lose a hard drive that would be worth several million dollars in a year’s time. The encrypted hard drive contained 7,500 bitcoins that was worth nothing in 2009, and was valued at GBP 500,000 when he misplaced it. During the last week of November, 2013 the value of a bitcoin actually soared to around USD 1,000. If the hard drive isn’t retrieved from it’s probable resting place in a landfill, it’s assumed that the millions of dollars will be lost forever. Nicknamed as “the unluckiest man in the world”, the Welsh IT guy constantly regrets obliviously throwing away a gold mine. As a medium of digital currency, a bitcoin is decentralized, anonymous and much has been speculated about it’s future. Due to it’s nature and virtual existence, it was earlier used for trafficking drugs and other illicit activities. Now, many online sites accept bitcoins as a medium of payment. 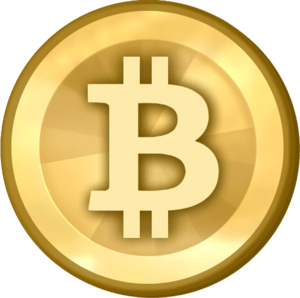 Owning bitcoins is equated to owing a bit of a gold mine and there has been many success stories of people getting rich by selling it in the current market. And they claim to have spent virtually nothing when they first acquired it. Since no government or company controls the bitcoin, strict regulations have been put in order by certain agencies to keep it’s movement in check as far as practicable to prevent astronomical inflation. Since it’s only in the form of electronic data, the users are suggested to keep a “private key” in order to secure their money. It is assumed that only 21 million bitcoins will ever be produced and the biggest question about economic sustainability is the inflation it can cause. Presently, it is a bit tricky to obtain and use and has not been considered as a mainstream currency due to various implementation flaws in it’s structure. Therefore, these bitcoins are owned by a few people who are mostly bitcoin enthusiasts and are banking on it’s plausible grand success in the near future. Bitcoin’s spectacular success has also led to the creation of a generation of cryptographic, digital currencies like peercoin, primecoin, feathercoin, namecoin and litecoin to name a few. This only suggests that the bitcoin is here to stay, at least for a while. In an attempt to regulate it, bitcoin was termed as “private money” and is now taxed in countries like Germany. Apparently, due to it’s algorithm, the number of bitcoins will not exceed 21 million and that is estimated to occur in 2140 and from 2141, it would be impossible to try and create a bitcoin. It has been estimated that by 2017, 75% of all bitcoins will have been generated and will circulate in the market. Due to its limited number and mode of handling, it makes it a very profitable commodity to own. The Silk Road‘s failure that caused the bitcoin to plummet in value for a while since it was primarily used in the black market as a means of anonymous or ‘safe’ currency, was only seen as a minor bump in the road as now various companies are trading in bitcoin in a major way. Furthermore, a bitcoin does not need to be bought, sold or spent as a whole, it can be split into smaller pieces and each transaction is monitored and authenticated by the network so that you cannot spend the same piece in two places. Earlier considered as a Ponzi Scheme by the European Central Bank; it is now assumed that it might become a central part of our currency with USA willing to legitimize it as a part of regular currency. The scarcity of the bitcoin, coupled with it’s steep exchange rate in today’s market and the speculative frenzy surrounding it, and the prospective slower release of the digital currency in to the market, makes it a high risk investment but has a great return as it has been observed so far. Enthusiasts also believe that it might also turn into a cheaper way of monetary transactions around the globe, in the future. Since it’s mining is based on a complicated system, only computers capable of complex mathematical calculations are used to mine it. Due to it’s nature and the fact that there will be a cap on it’s total production, bitcoins can easily be considered a monumental currency for the future. Next Post: A New Year and a preponderance of numbers, days and months, and ideas! I have read your article. Interesting analysis.. I will pas it on to my team-mates and I hope our readers would also like to read your take on things that really matter. I’d leave the bit coins to anyone and everyone else. I like the good old American dollar.